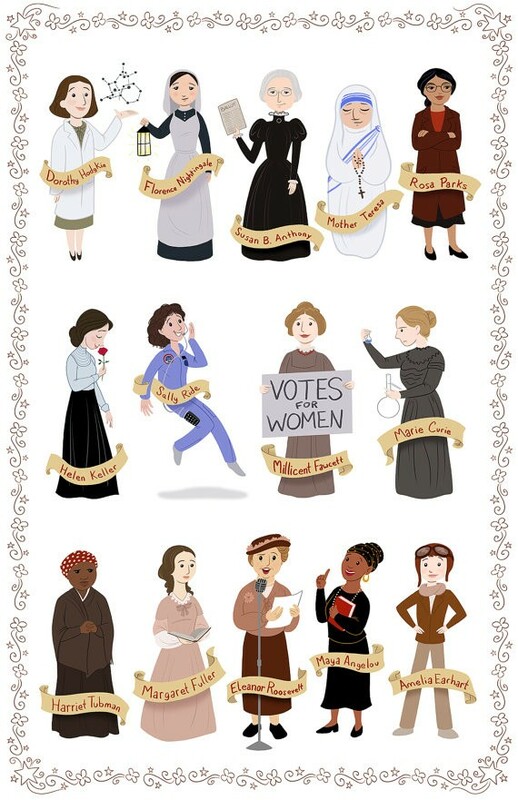 Pay tribute to 27 of history's amazing women with this pair of posters from Catherine and Sarah Satrun of the Satrun Twins' Art Shop! 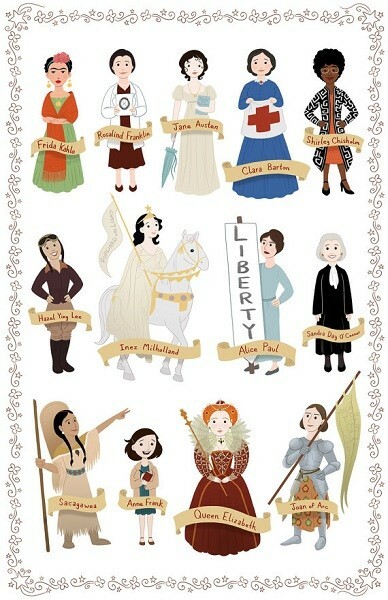 These colorful posters feature a diverse group of women from around the world and throughout history. 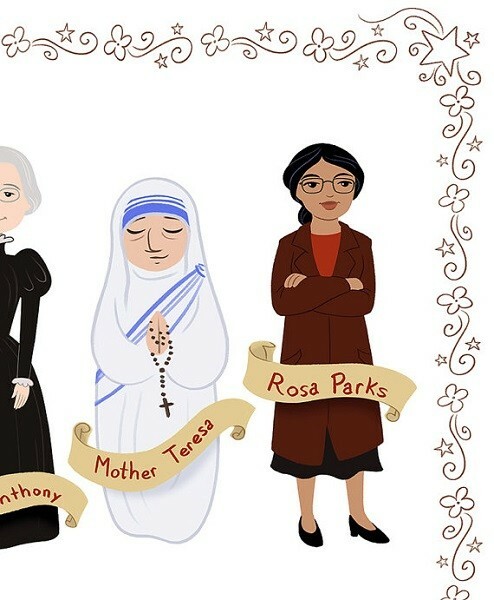 From astronauts to scientists, artists to explorers, and many more, these beautiful portraits are sure to inspire your Mighty Girl to learn about these women's stories...as well as many more. Both posters are 11 by 17 inches and come signed by the artists. 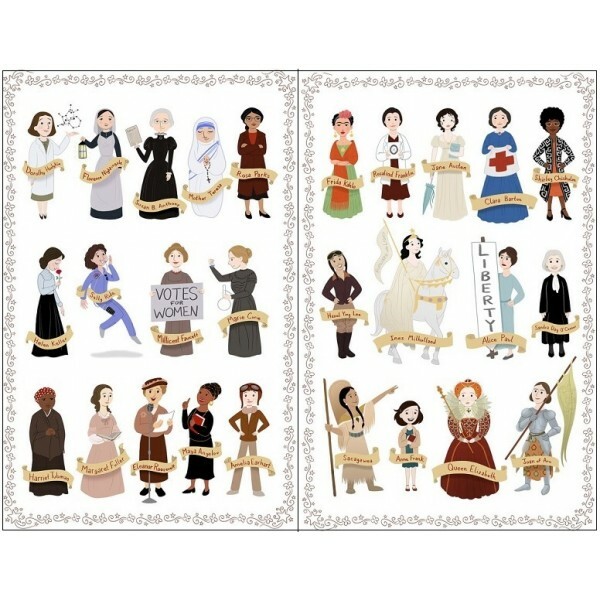 You can also add the third poster in the series or get all three in the Women in History Posters 3-Pack. 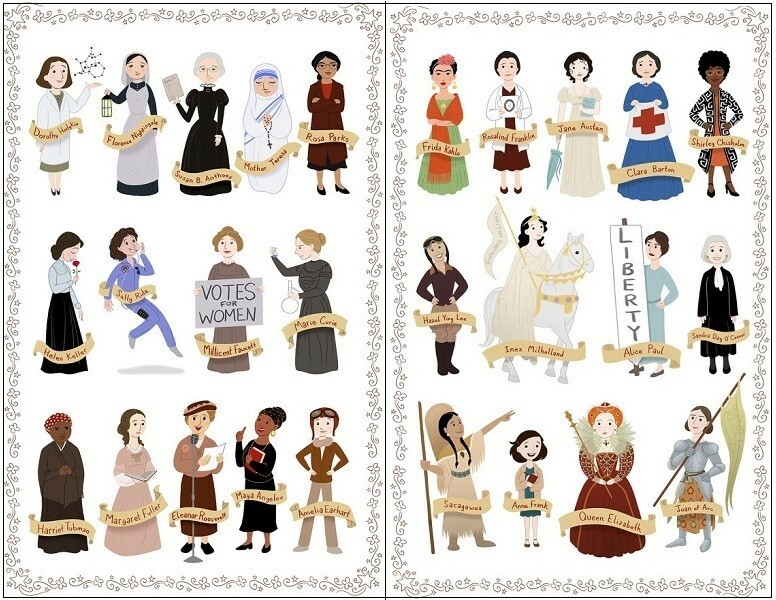 For more girl-empowering wall art, check out our Art & Decor Collection.